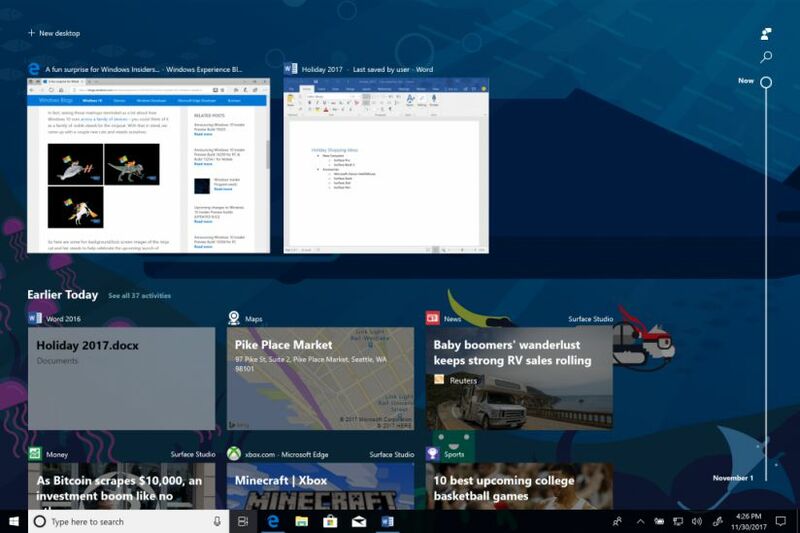 Windows 10 v1903 build 18214 is now available for Skip ahead insider members. The new Redstone 6 (19H1) build comes with Your Phone app which is already available on Redstone 5 builds and other new features. In addition, HTTP/2 and CUBIC support are now added to Windows 10 with this build. Apart from this, there are various bug fixes and improvements to the OS. Your Phone app is now LIVE! Android phone users, check it out and keep the feedback coming. Build 17723+ is highly recommended for the best experience. Your Phone app is also live for Insiders who are in Skip Ahead running 19H1 builds. With Your Phone app, you get instant access to your Android’s most recent photos on your PC. Drag and drop that photo from your phone onto your PC. Copy, edit, or ink on that photo, right from your PC. Android 7.0+ are compatible with Your Phone app. For PCs tied to the China region, Your Phone app services will be enabled in the future. The Internet is part of our daily lives both at work and at home, in the enterprise and in the cloud. We are committed to making your Internet experience faster and safer, and in this blog, we discuss how the features in Windows Server 2019 and Windows 10 brings those goals to reality. We fixed an issue that could result in an unexpected sihost.exe error when entering Safe Mode. We fixed an issue where when naming a tile folder in Start it would commit as soon as you pressed space. As some keen eye’d Insiders noticed, we’ve been working on our scaling logic and you should find apps resize better now after monitor DPI changes. As always, we appreciate feedback in this space. We fixed an issue where the Windows Security icon in the taskbar systray would become a little bit blurrier every time there was a resolution change. We’ve updated the messaging in Snipping Tool to more closely align with the commitment we made here. You’ll also notice in the message that we’re exploring renaming our updated snipping experience – bringing together the old and new. The app update with this change hasn’t flighted yet, but if you have any feedback on the subject we’re open to hearing it. The dark theme File Explorer payload mentioned here is on its way to Skip Ahead, but not yet there. You may see some unexpectedly light colors in these surfaces when in dark mode and/or dark on dark text. On Windows 10 in S Mode, launching Office in the Store may fail to launch with an error about a .dll not being designed to run on Windows. The error message is that a .dll “is either not designed to run on Windows or it contains an error. Try installing the program again…” Some people have been able to work around this by uninstalling and reinstalling Office from the Store. If that doesn’t work, you can try to install a version of Office not from the Store. There is a known issue in Narrator’s automatic dialog reading where the title of the dialog is being spoken more than once. Narrator sometimes does not read combo boxes until Alt + down arrow is pressed. For more information about Narrator new keyboard layout and other known issues, please refer to Intro to New Narrator Keyboard Layout doc (ms/RS5NarratorKeyboard).